This is fig and strawberry season. 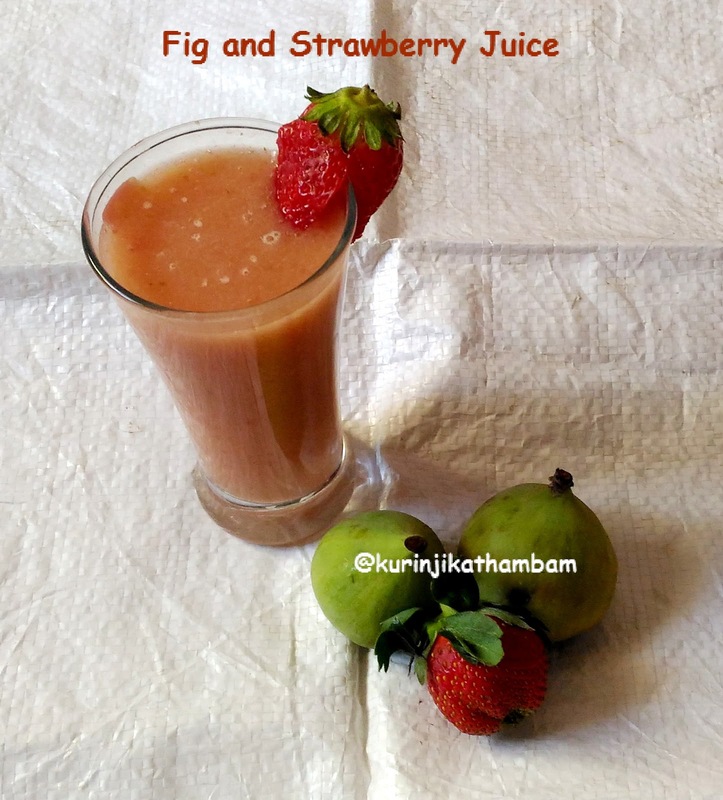 This combination of Fig and Strawberry is a big hit in my home and will be also be a big hit in yours too. Also, fig is very good for increasing hemoglobin. 1. Remove the skin of the figs and cut them into small chunks. 2. Wash and cut the strawberries into small pieces. 3. 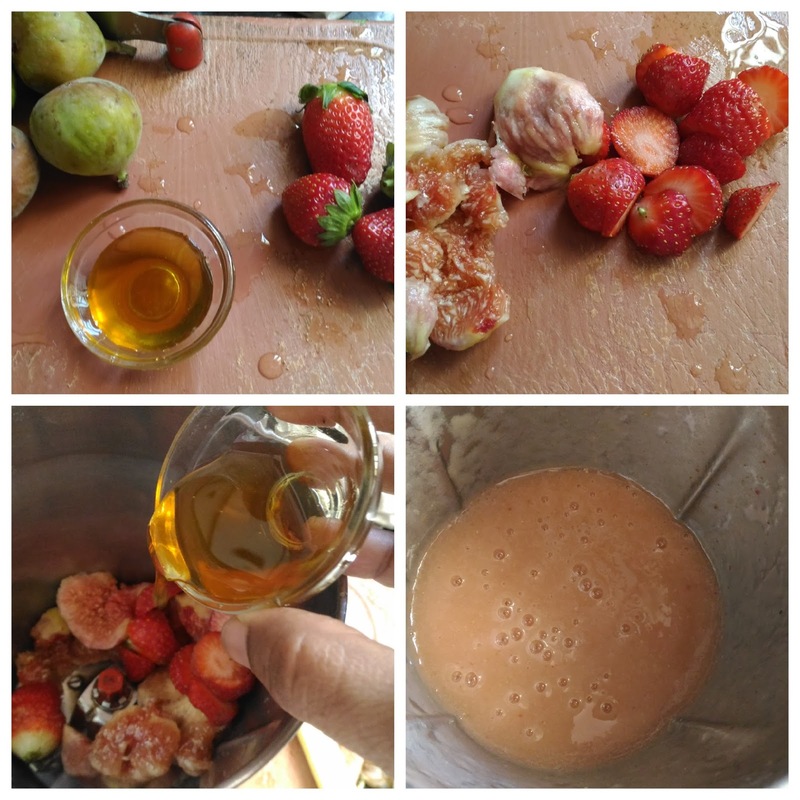 Blend the chopped figs, strawberries, water and honey in a blender till the fruits grind into smooth paste. 4. Strain the juice using the juice strainer and serve it chill or at room temperature. 1. Adjust the honey level according to your taste. 2. You can use sugar instead of honey.